In conjunction with the upcoming premiere of RIVER MONSTERS 6 on Discovery Channel, fans of angling guru Jeremy Wade will be able to catch him in action on Sunday, 25 May, as he swims with arapaimas – one of the world’s largest freshwater fish – at River Safari Singapore. 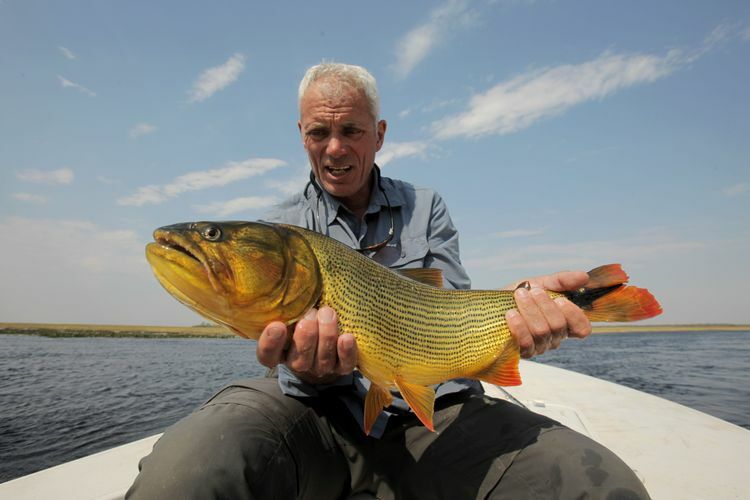 As part of Discovery Channel’s River Monsters Live In Asia tour, Jeremy will also be sharing stories of his adventures from the new season, encounters with monstrous freshwater beasts, tips on how to catch monster fish and last but not least, to meet his fans at Asia’s first and only river-themed wildlife park. Jeremy will swim amongst giant trees with arapaimas, manatees and other aquatic creatures at River Safari’s Amazon Flooded Forest – the world’s largest freshwater aquarium. His previous encounters with the arapaima included his trip to Brazil in 2002, where he was painfully rammed right in the chest while attempting to net one. The arapaima is a torpedo-shaped behemoth found in the Amazon River and can typically reach lengths of more than 2.4 metres and over 90 kilogrammes. The maximum-recorded weight for this species is close to 200 kilogrammes. In addition to seeing Jeremy in action, fans will also have the opportunity to explore River Safari which is home to animals from iconic rivers of the world including the Amazon, Mekong, Nile and Yangtze rivers. Featuring 200 land and aquatic species, it houses one of the world’s largest collections of freshwater animals. These include famous monster fishes such as the giant freshwater stingray, Mekong giant catfish and the Goliath tigerfish – some of which are similar to those Jeremy has gone head on with over the last five seasons of his series. Fans will also come face-to-face with some of Amazon’s deadliest suspects featured in the upcoming RIVER MONSTERS 6: red-bellied piranha, anaconda and electric eel. Cost: Payment required - Admission fees to River Safari apply for this event. Adult: S$25, Child (3-12 years): S$16. Visitors are required to register early for the event at River Safari park entrance. Event registration is on a first come first served basis, limited to the first 250 visitors.